I'll post here all the book related content that I usually share on my blog, be it comments, reviews, quotes or whatever else. I've been wanting to start reading about finance and economy for a while so when this came up on NetGalley I couldn't miss the oportunity. 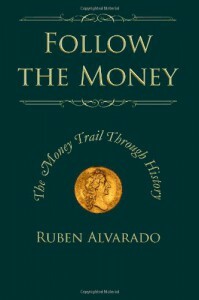 Ruben Alvarado takes the reader on a trip through our history, from the first trades to the creation of money as we know it today. It was really interesting to read his analysis of multiple moments of our civilization intertwining them with what happened with the money at the same time, from the material it was made of, its scarcity or abundance, its international flow to the first experiences with paper money and the abandonment of the gold standard. The book ends at the current financial and economic crisis, though the author doesn't emphasize its analysis over the past history. There are some moments when the author gets somewhat carried away with his own opinions undermining his impartial analysis but in general this doesn't become a problem. On the other hand, current money and how his characteristics affect societies could have been explained in more detail because it is quite more difficult to understand than past situations. All in all, a quick and informative read that I recommend to all interested in this area, even if completely knew to the subject. 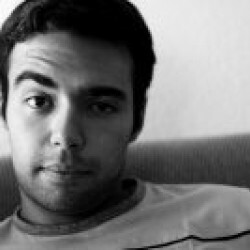 This post was originally published on my blog both in English and Portuguese.